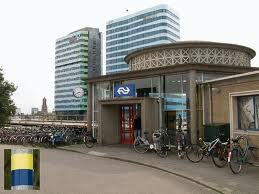 LAst year I did Amsterdam to Arnhem – today I did the reverse, took the train to Arnhem and biked back to Amsterdam. Beautiful day, had a great bike ride, still have problems with using a mobile to navigate, have to stop to get the direction. I tried with a Samsung Galaxy III to use Google Maps to give me the direction while cycling, this worked well tills I run out of battery. There must be a better way to do long bike rides using a navigation tool.